7 Commercial Real Estate & Properties in Helensvale are listed in 5 categories. We have 2 Industrial Warehouses Sale , 2 Development LandsSale , 1 OfficesSale , 1 Retail ShopsSale and 1 Other Commercial PropertiesSale . 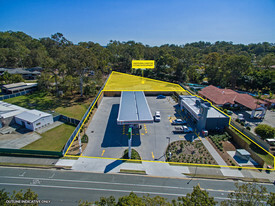 Gold Coast Local Food Store / Supermarket $65k WIWO plus stock at v..
Gold Coast regional local food store / supermarket with good sales, increasing every year with plenty more potential... Established over ten years, owner wants to retire.The store is fully equipped.Long lease in placed with good rental. Easy operation selling daily needs, bread, milk,dairy,drinks, snacks,cigarettes /tobacco. Couple can easily run this business.